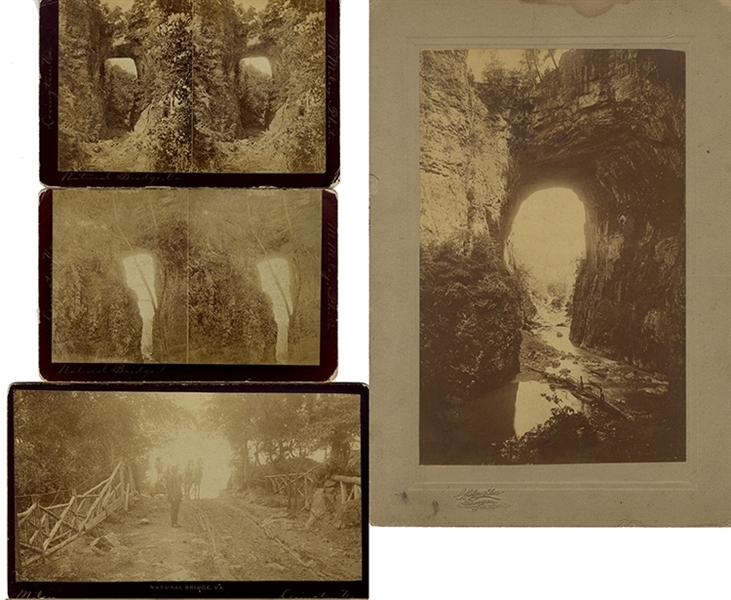 A group of four mounted photographs to include; Two large format stereoviews with different views, printed description on the verso ... plus, Mounted albumen, 8” x 4-1/4” to larger mount, ID’d on front mount, Natural Bridge VA., showing horse drawn carriage crossing the bridge. Light. ... plus, Mounted albumen, 5” x 8” by Miley & Son, Lexington. All VG.